Details: 242 pages, B&W, Softcover, 7" x 10"
More Than Fluency: The Social, Emotional, and Cognitive Dimensions of Stutteringprovides a thoughtful and contemporary framework for speech-language pathologists and others working with people who stutter. The text focuses on the social, emotional, and cognitive realms of stuttering and offers new insights and applications based on research in the field. It guides the reader through theoretical discussions about the social experiences, emotional complications, and cognitive interpretations that often influence the person who stutters. The text also offers practical strategies for intervention from contributing authors who are prominent theorists, researchers, and practitioners in the field of fluency and stuttering. In line with the current multifactorial view of stuttering, More Than Fluency emphasizes the social, emotional, and cognitive aspects of stuttering, drawing important connections between them. The authors present a variety of therapeutic interventions and techniques along with practical guidelines that have been designed to alleviate distress in those who stutter. Although these interventions differ in approach, each offers their own roadmap to support and empower people who stutter. The idea for this book grew out of the insights gained from listening to both clients and graduate students. Clients wanted to talk about their life experiences as a person who stutters. Graduate students often described their worry and uncertainty when dealing with the emotional and social issues of their clients who stutter. Similarly, many practicing speech-language pathologists also have concerns about treating people who stutter, especially regarding the social, emotional, and cognitive aspects of the disorder, areas not typically taught in traditional coursework. More Than Fluency was developed for practicing speech-language pathologists and other professionals who evaluate and treat people who stutter. It is also intended to be an academic textbook used in graduate courses on fluency and stuttering. This text provides a collection of well-thought-out programs and approaches that help treat the whole person, not just his or her stuttering. The authors believe that this is best practice because successfully treating a person who stutters encompasses treating more than fluency. 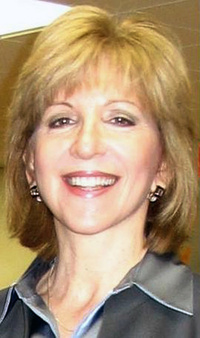 Barbara J. Amster, PhD, CCC-SLP, BCS-F, is founding Chair, founding Graduate Director, and Professor in the Department of Communication Sciences and Disorders at La Salle University, where she teaches the graduate course in stuttering. She is a licensed and certified speech-language pathologist. She holds Board Specialty Certification in Fluency Disorders from the American Speech-Language-Hearing Association (ASHA). She is an ASHA Fellow and received Honors of the Pennsylvania Speech-Language-Hearing Association, where she served as Vice President for Professional Preparation and Continuing Education. She was Pennsylvania's representative to the ASHA Advisory Council and served as Associate Coordinator for ASHA's Special Interest Group 4: Fluency and Fluency Disorders. Dr. Amster has investigated perfectionism in people who stutter (PWS) and has presented and published articles on perfectionism and the therapeutic use of cognitive behavioral therapy with PWS. She is also an editor and author of a book on children in the child welfare system. 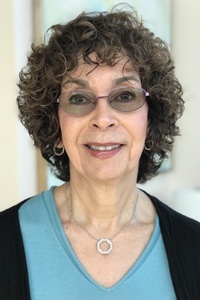 Evelyn R. Klein, PhD, CCC-SLP, BCS-CL, is a Professor of Communication Sciences and Disorders at La Salle University and a licensed and certified speech-language pathologist and licensed psychologist with postdoctoral training in neuropsychology. She holds Board Specialty Certification in Child Language from the American Speech-Language-Hearing Association. She is an ASHA Fellow. Dr. Klein has conducted research using cognitive behavioral therapy (CBT) with people who stutter and has presented and published on this topic. She is also on the Scientific Advisory Board of the Selective Mutism Association and is a consultant for the Selective Mutism Research Institute. She received the Lindback Award for Distinguished Teaching from La Salle University and the Pennsylvania Clinical Achievement Award from the Pennsylvania Speech-Language-Hearing Association. As a practicing clinician, Dr. Klein evaluates and treats individuals with communication disorders, including people who stutter.